Here is a list of 13 different tutorials on how you can build your very own diversion case safe. 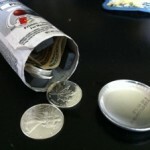 This tutorial gives you basic details on how to create your own stash can diversion safe from a soda can. 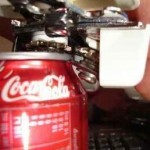 It has pictures of them cutting the top off the can, then placing a glass jar inside to hide money and valuables. They make it look like a simple process, you feel the gap between the can and the jar with plaster, glue the two lids together and you’re good to go! This Instructable has 13 pictures to help you create your own diversion safe using a standard soup can. The instructions are dead on, and make it look easy. This can will only look right in your kitchen, cupboard, or pantry, but if you want to stash something valuable people are less likely to look in those places. Thieves will notice a soup can in your bedroom in about 2 seconds. This is a nice how-to for a stash can that will not look out of place in the bathroom, bedroom, backpack or luggage. It uses an Axe body spray can, so probably best suited for guys and not ladies. 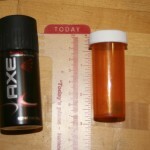 The can just fits over the pill bottle, and it can be made pretty easily minus getting the top of the can off. There ends up being some prying and filing involved in the process. This tutorial makes it seem like everyone should have time and supplies to make a secret can safe. He uses includes 8 images to step you through converting an old spray paint can into a stash can with not much more than a can opener and a few magnets to hold the lid on. Here’s a different take on the DIY spray paint can safe. 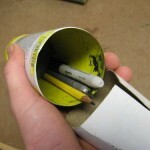 Instead of using magnets to hold the bottom on, this builder adds rolled cardboard to the bottom with glue so it fits snugly into the can. Not as strong as the magnets, but there is less in the way when accessing the stash can contents as well. 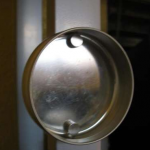 And this method makes a homemade can safe even more accessible. This spray can stash safe tutorial is a variation on the Axe spray stash, using a jar instead of a pill bottle for the inside compartment. 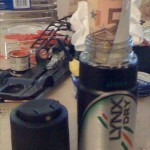 He was able to put together a stash can for travel for the cost of a jar, around £1.50. There are several steps, but they’re well documented with the 14 pictures provided. A deodorant can is low on the priority list of most theives. Narrators do a great job of stepping you through the process of making this secret stash can safe. They cut the bottom off of a Raid can and pack it half full of paper towels. 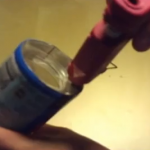 Then they secure a baby food jar inside the can with a hot glue gun. This method isn’t weighted like the plaster fill containers, but it can be done without the purchase of nearly any special supplies. 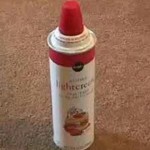 Here’s a brief how-to on making a secret stash can safe from a whipped cream canister. 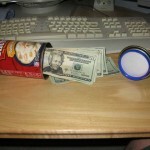 It includes 4 pictures and a 1 minute video showing a finished homemade whipped cream stash can and a soup can safe. He uses smaller magnets than I’ve seen other places to hold the lids in place, and the method seems to work quite well. Here’s a very short, but well edited video showing how to make a stash safe from a whipped cream can. 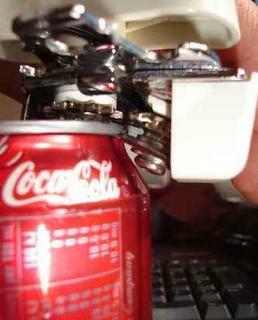 It shows the actual can opener being used, gluing the magnets on, of which they only use two, and placing items inside. Very little is needed to pull off this slick secret stash can safe.It seems like it would need to be stored in the refrigerator though. Where else could you hide it? 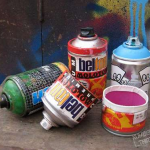 However, this is the same method used on spray paint, soup, and other types of steal cans. This stash safe is a bit different from the others I’ve posted in the fact that it’s not meant to be left out in the open. It’s still a simple an effective way to hide valuables. Once completed, this can be stuck to the back of a refrigerator, on the inside of a file cabinet, in toolboxes, or to any other metal piece inside or outside your home or business. This 5-step guide shows how to take a standard paint can and create a stash can that looks like a mini-spray paint can. The author includes detailed pictures, and actually makes these to sell on etsy. The small paint can safes would completely normal on a shelf in a utility closet or in the garage. This doesn’t require many additional supplies beyond tools and a paint can. 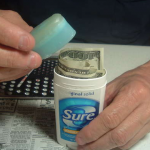 A detailed Instructables tutorial shows you how to make a secret stash can diversion safe from an old deodorant container. 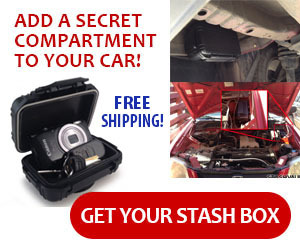 These are simple hidden compartments that can be used by people of any age, especially when you’re traveling. 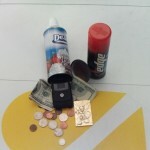 Deodorant cans are small and generic enough to be concealed in most purses, backpacks, and luggage, but still big enough to store cash, jewelry, digital data and other valuables. 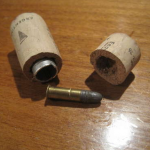 A wine cork safe is pretty small, but could be useful for medicine, loose gemstones, or ammunition as shown in the image. I don’t see a way it could be used in an actual wine bottle again, so storing and concealing the wine cork isn’t a completely smooth process. However, a secret compartment wine cork still has a certain novelty to it.